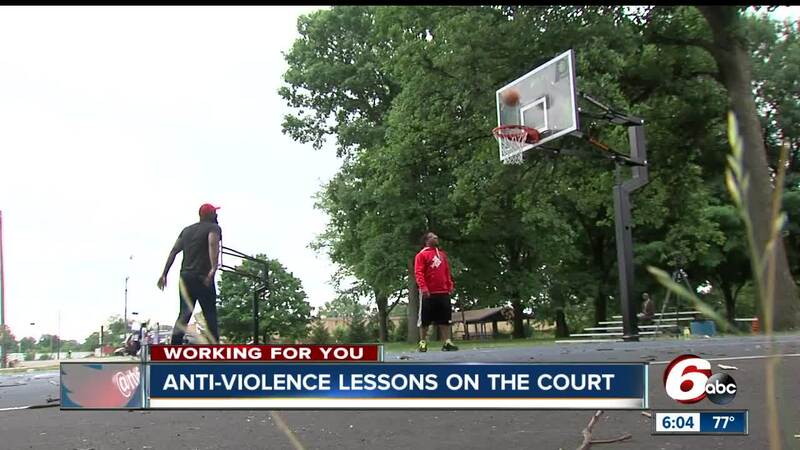 INDIANAPOLIS -- School may be out for the summer but one middle school teacher plans to use his summer vacation to counsel teens on the dangers of violence and how to avoid it. Eric Williams teaches science during the school year. “I’m just a regular science teacher. Just out here trying to do something for the youth,” said Williams. But he doesn’t plan to take his summer off as a vacation. Williams is already hitting up the basketball courts and parks to talk to and mentor kids in the hopes that he can prevent some of the violence that’s been escalating among Indiana’s youth. Williams has leaflets he hands out to kids that talk about how to settle disputes without violence. On Tuesday, he also introduced them to 37-year-old Luthar Harlan who was shot and paralyzed when he was just 17 years old. Harlan wants to share his story with teens so they know the cost of violence. He wants to help them steer clear of trouble so their story can be different than his. “Stay in school. Complete school. Do as your mother and father say. Stay away from any negative energy. Period,” said Harlan.